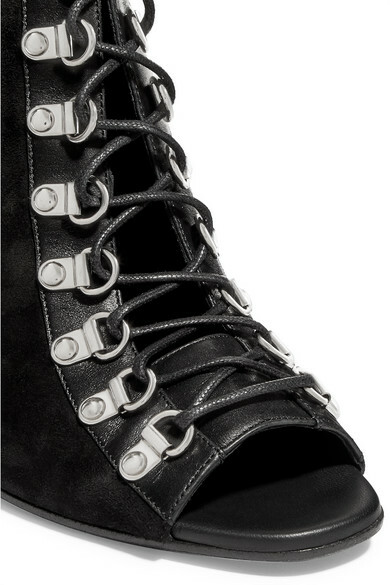 Several members of Olivier Rousteing's #BALMAINARMY have already been spotted in these lace-up ankle boots. Made in Italy from soft black suede, this 'Club' pair is trimmed with strips of leather. Match any jewelry to the silver eyelets and metal-tipped stiletto heel. Shown here with: 16ARLINGTON Skirt, Givenchy Blouse, Givenchy Clutch.